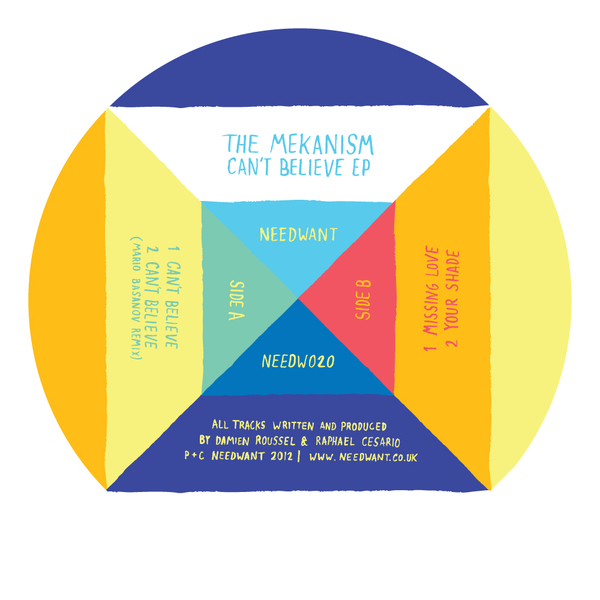 We would like to welcome you to the world of Parisian super duo, The Mekanism, with a debut EP that will make you fall in love with their spin on disco infused house music. Effortlessly smooth and divinely deep, they capture an advanced and modern sound that will blow you away. The EP features three original tracks plus a remix and dub version from Needwant favourite, Mario Basanov.